LEFT: Photo by Tasos Katopodis/Getty Images for 100,000 Opportunities Initiative. 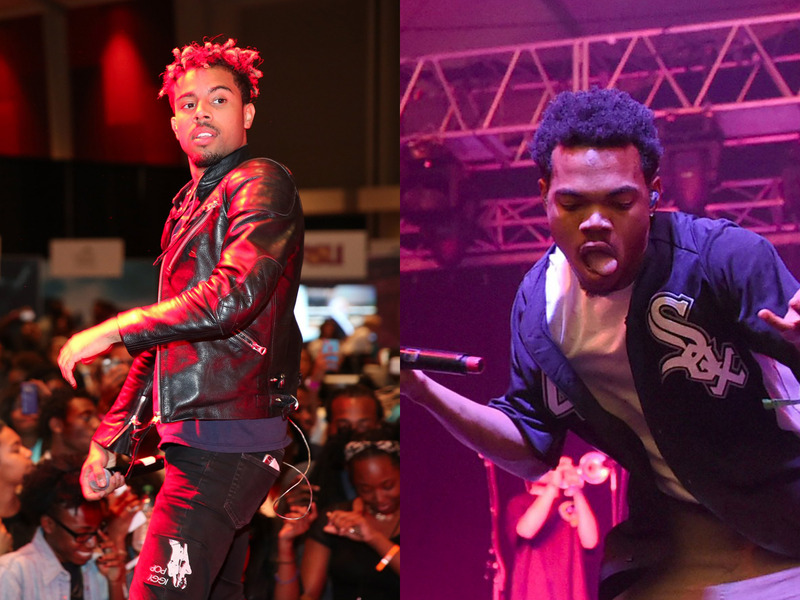 RIGHT: Photo by Jason Merritt/Getty ImagesVic Mensa (left) and Chance the Rapper (right). They have had similar career trajectories, but their music couldn’t be more different. Chance remains an independent artist — and proud of it. He’s steadfastly refused to sign a record deal, and it’s become a defining part of his career. Mensa, on the other hand, signed on to Jay Z’s Roc Nation label and wrote a whole song about it. And while Chance sings about going to church with his grandma, Mensa raps about police murdering young black men. Chance is the happier, jazzier rapper while Mensa prefers to brood in darker, political subjects. Mensa’s song “16 Shots” is an indictment of Chicago’s political and police system. Chance might steer clear of the subject because his father worked for Chicago mayor Rahm Emanuel.